Paddleboard rentals are currently available on a limited basis & will require a credit card number. Email us at newfoundfitnessnh@gmail.com with any questions or for private small party classes. 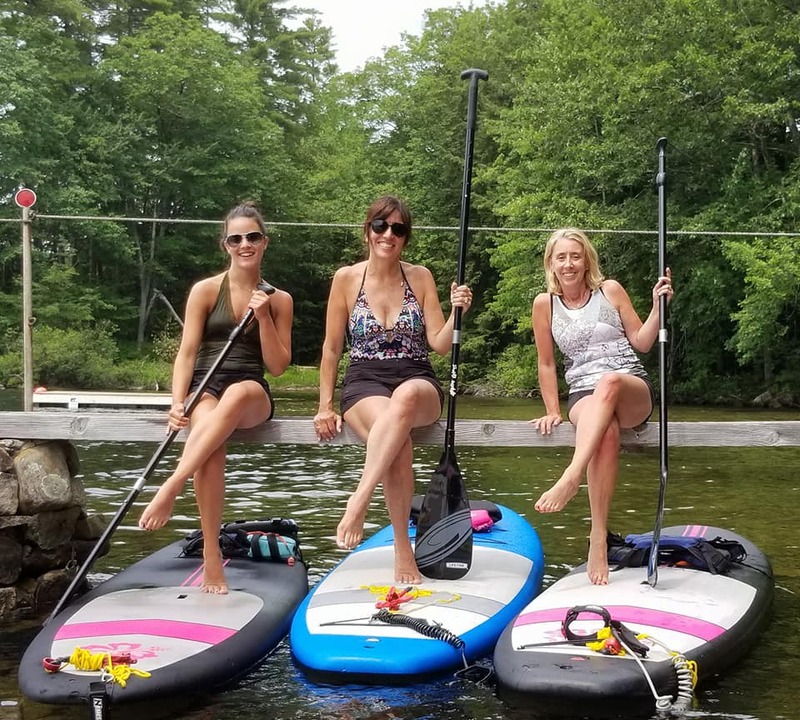 SUP classes on Newfound Lake will incorporate core strengthening and yoga postures. Enjoy the water, waves, and wonderment as your Paddleboard skills improve and your fitness is taken to a new level. Find your balance as you build strength and flexibility. Maybe we will tyhrow a few tricks in for fun! See above schedule for current class offerings. No Prior Experience Required but a current fitness level is encouraged. Looking for a fun summer activity for you and an intimate group of your friends or family? Newfound Fitness is now booking private paddles & classes booked around your schedule. Privates can book a maximum of 6 paddlers at a time and run 1.5 hours. Enjoy the water with the guidance of one of our fabulous SUP instructors, Andrea or Kendra. No Prior Experience Required but a current fitness level is encouraged. For those who are brand new to paddle..Lessons designed to introduce you or enhance your stand-up paddle boarding skills. Our goal is to give you the confidence you need to join any of our paddle board activities or to paddle on your own. Each session begins with on land instruction on fundamentals and techniques followed by on the water coaching and practice.